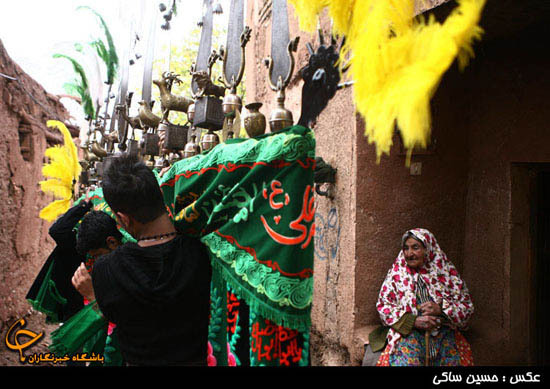 Ashura, the tenth day of the month of Muharram is one of the most important days in the history of mankind. 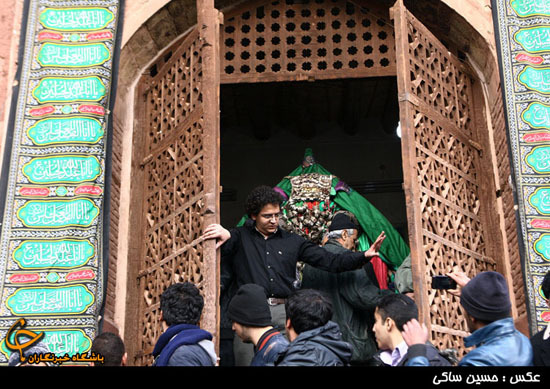 On this day, God created Adam and Eve, on this day He returned to Jacob his lost son, Joseph, and on this day He freed the Jews from Pharaoh’s tyranny, for the commemoration of which Muhammad ordered a thanksgiving fast for this day. 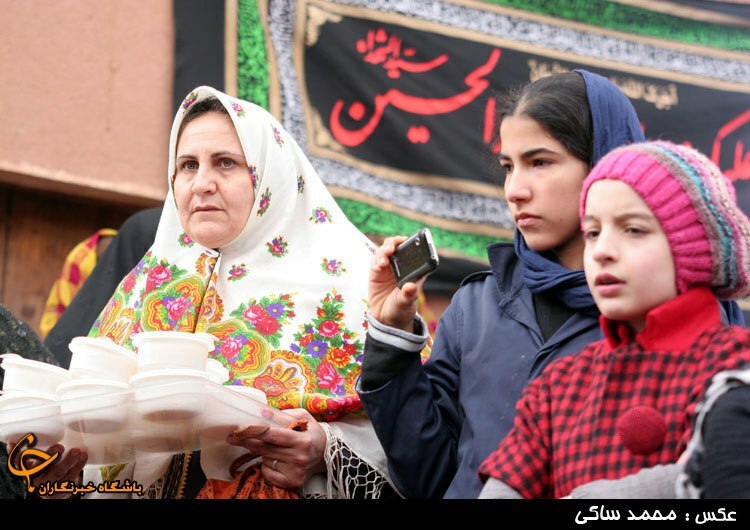 And in the evening, the Sunnis invite each other to the special Ashura or Noah’s pudding, to commemorate that the Flood began to recede on this day. 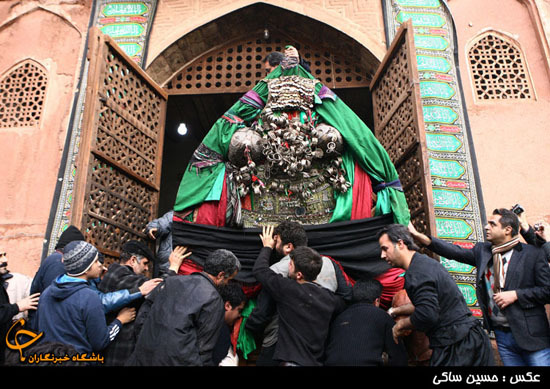 In Shiite regions, however, is more important than anything else, that in the year 680 on this day Imam Hussein, the son of Ali and the grandson of Muhammad, was martyred after having heroically fought for a whole day with his seventy-two companions against the thirty thousand soldiers of the usurper caliph at Kerbala, on the banks of the Euphrates. 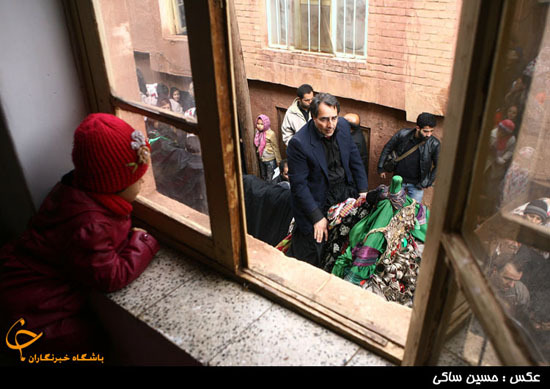 This is a defining event of Shiite identity, and its anniversary is the greatest day of mourning for the Shiites, whose religiosity is already permeated with the cult of the martyrs, from the martyred imams to the one million Iranians killed in the Iraq-Iran war. 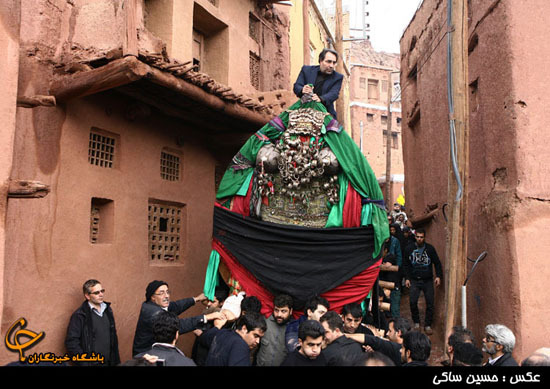 The annual ritual commemoration of the tragedy of one thousand five hundred years ago provides an opportunity for everyone to experience personal loss as well. 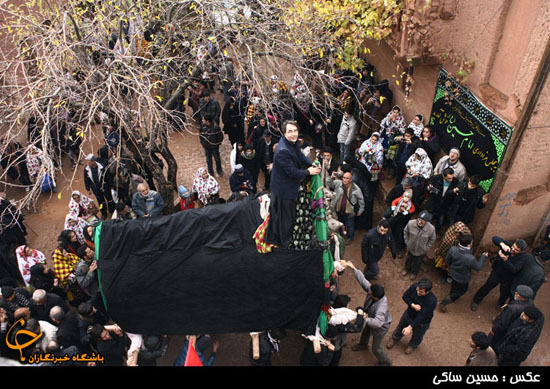 Every town has its own traditions of commemoration. 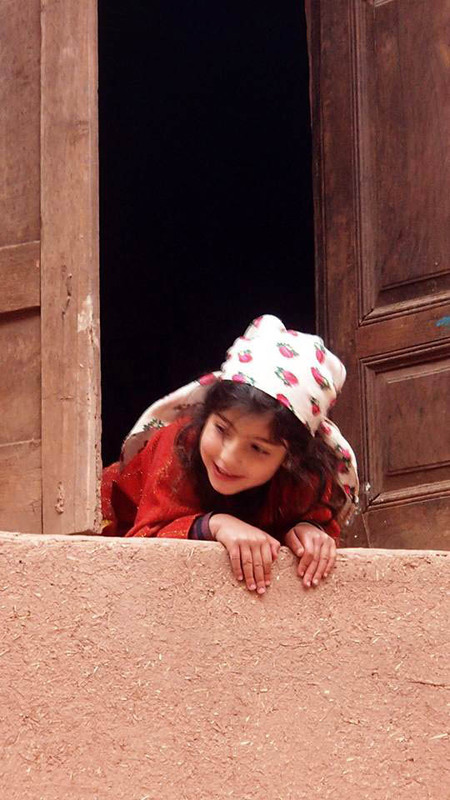 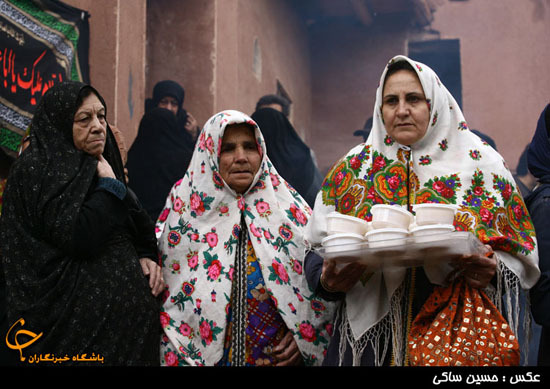 About the customs of Abyaneh one can read in detail here or here. 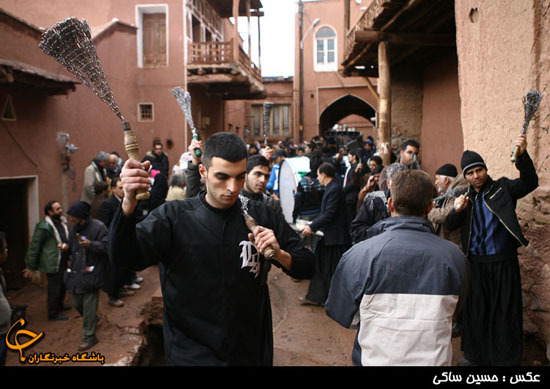 The inhabitants of the town gather in the mosque on the previous evening, in order to keep vigil on the night of Tasuʿa, the ninth day, just like Hussein and his companions kept vigil before the decisive battle. 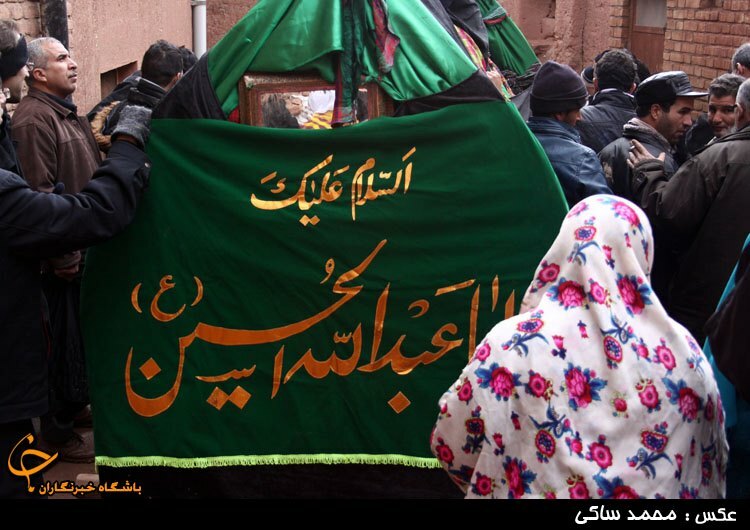 The imam called on his followers to leave him without the sin of betrayal before certain martyrdom of the next day, until only the seventy-two remained. 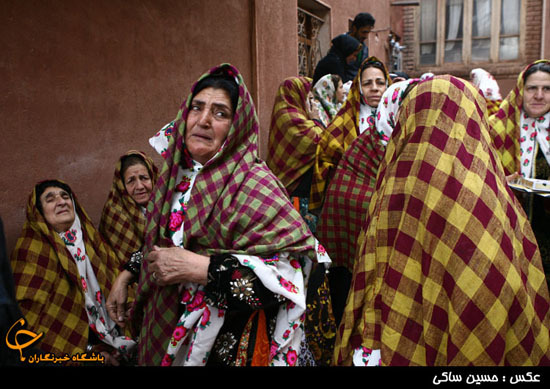 In Abyaneh, however, it would bring shame to anyone who stayed away from the night vigil. 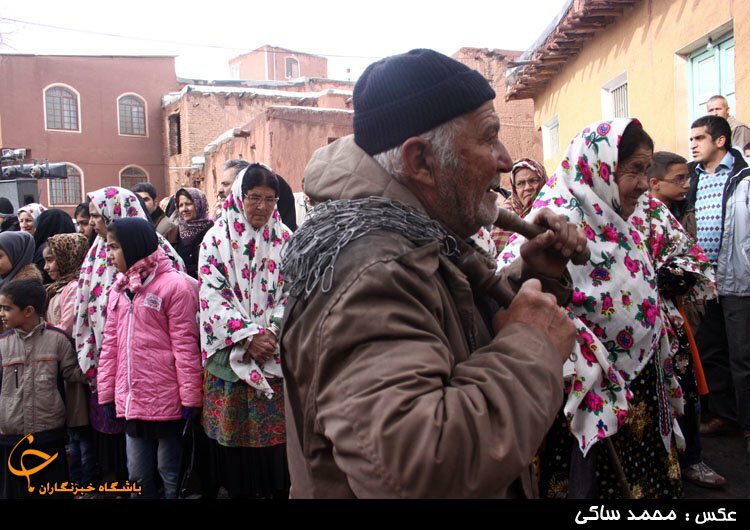 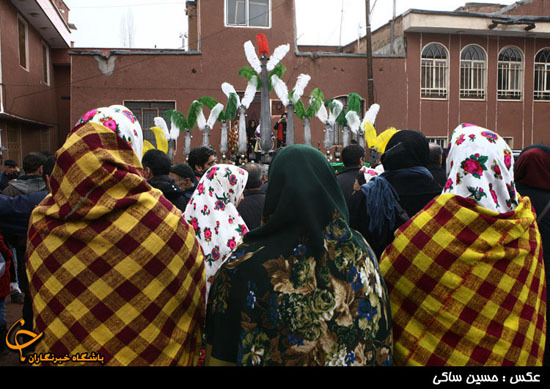 During the mourning ceremony called zakeri, they sing mourning songs and read poems, and the women keep the participants awake with wooden rattlers. 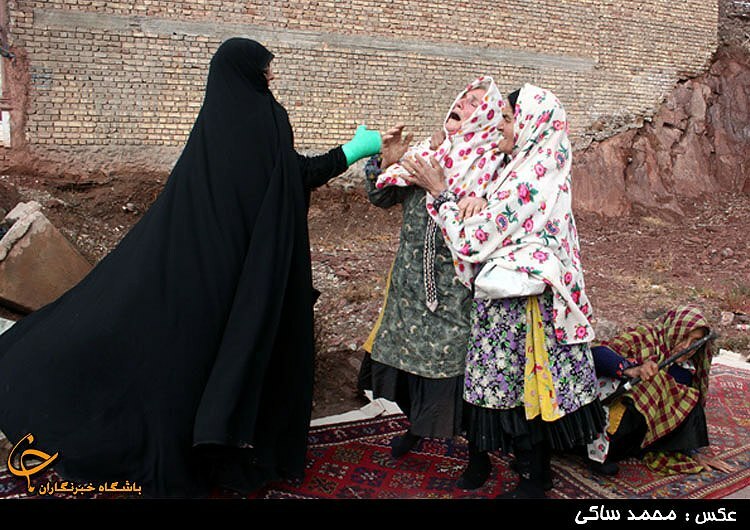 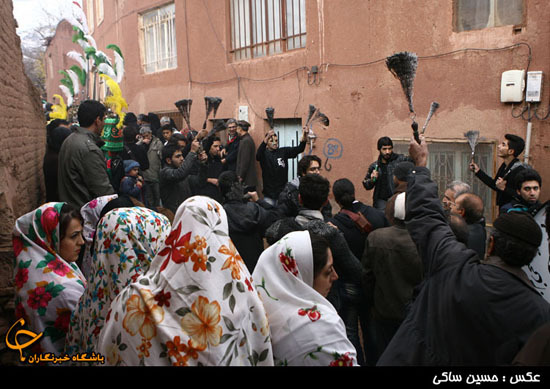 The next morning, the women roam the village with rattlers, and enter each house where someone has died since the previous year’s Ashura to sing. 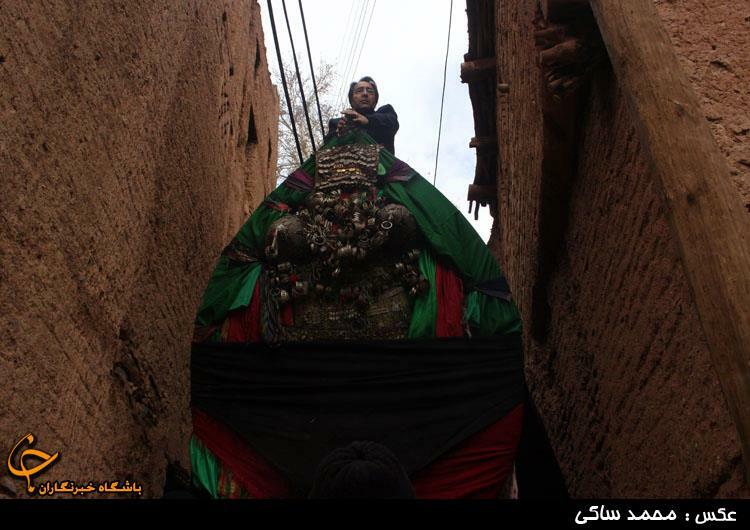 In the meantime, the men decorate the nakhl, the “palm tree”, the symbolic catafalque of Imam Hussein, which waits the entire year on the balcony of the house of the confraternity for this day. 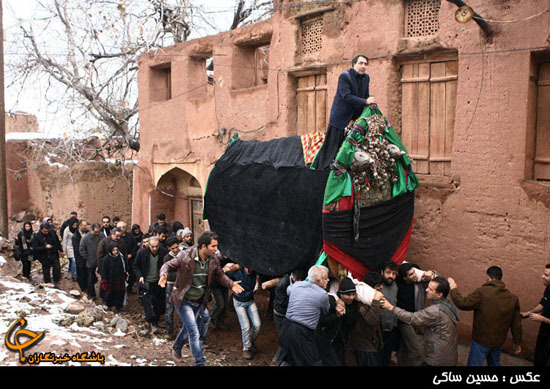 They bear the heavy structure on their shoulders, and walk with it through the village for several hours. 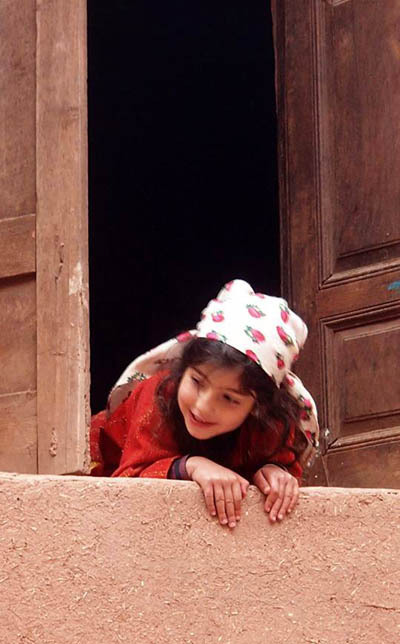 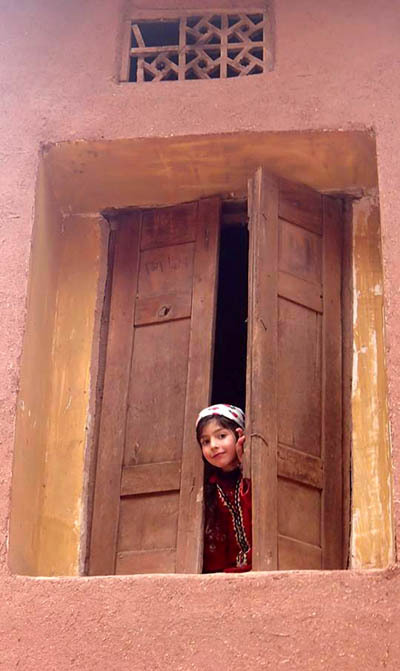 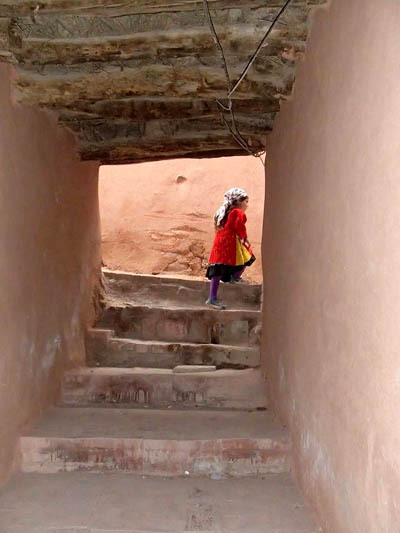 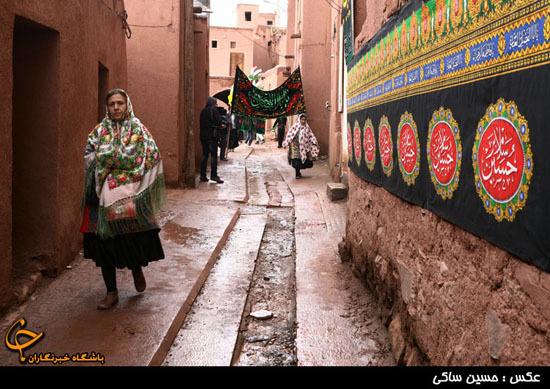 In Abyaneh – as in the other towns of the Iranian desert – there are several nakhls, and each one has its own confraternity, ceremony and route, in a manner very similar to the Catholic Holy Week processions of Spanish and Italian towns, about which we have written here and here. 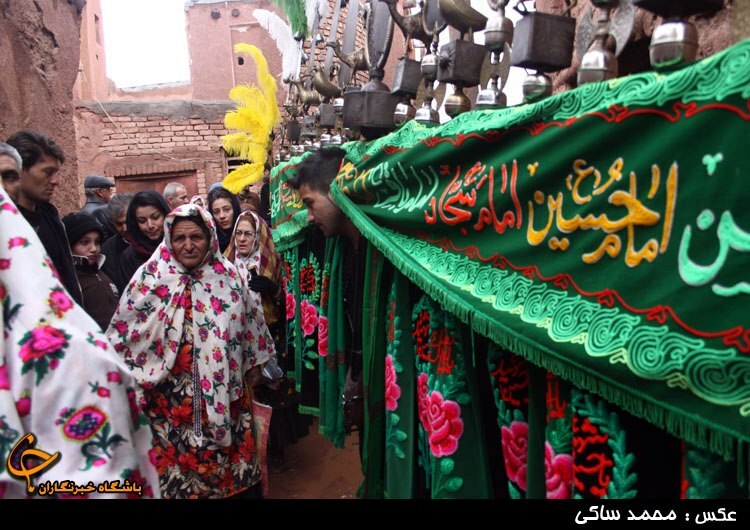 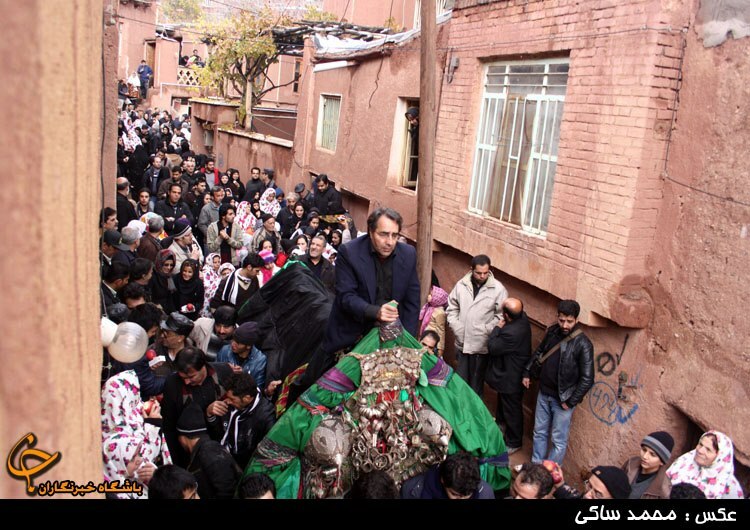 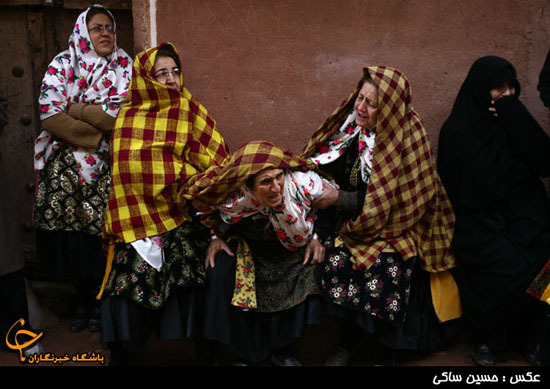 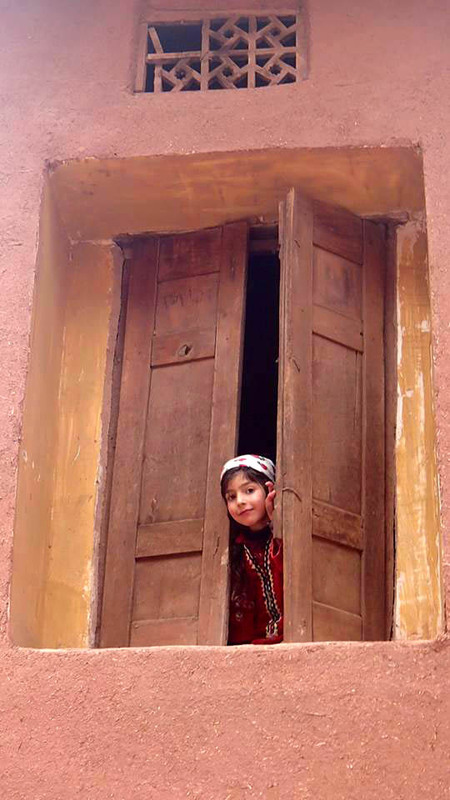 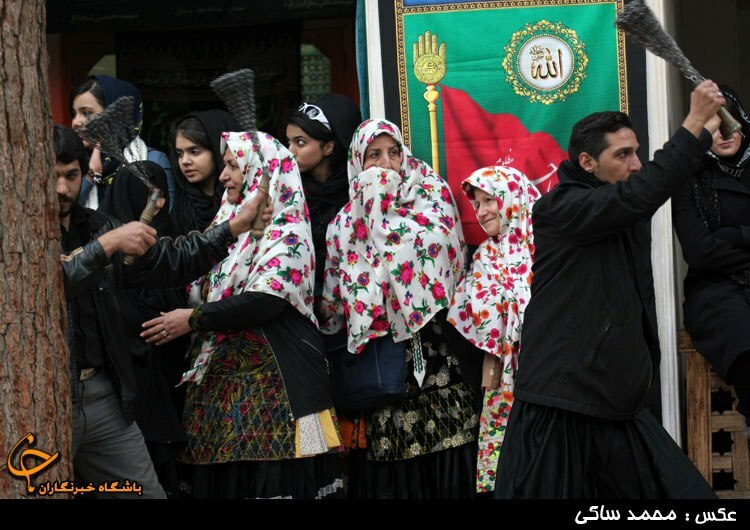 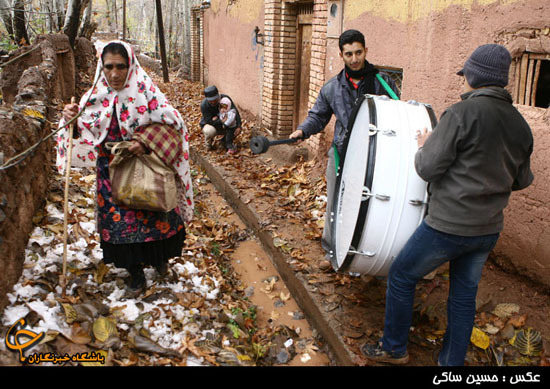 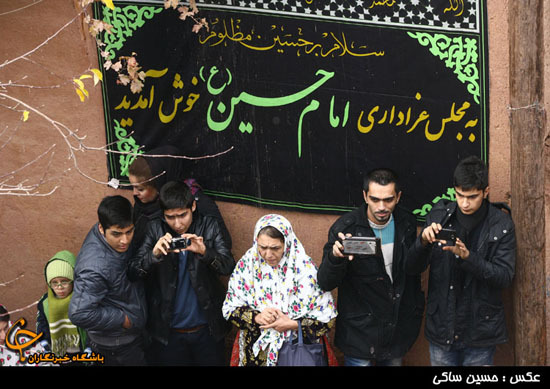 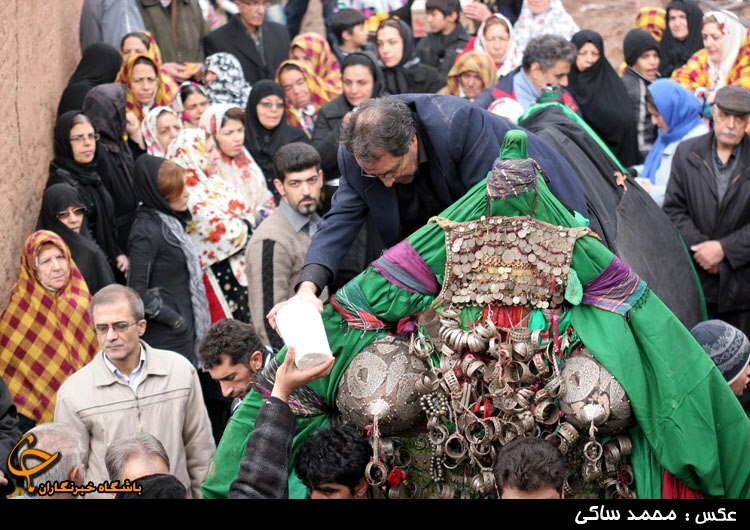 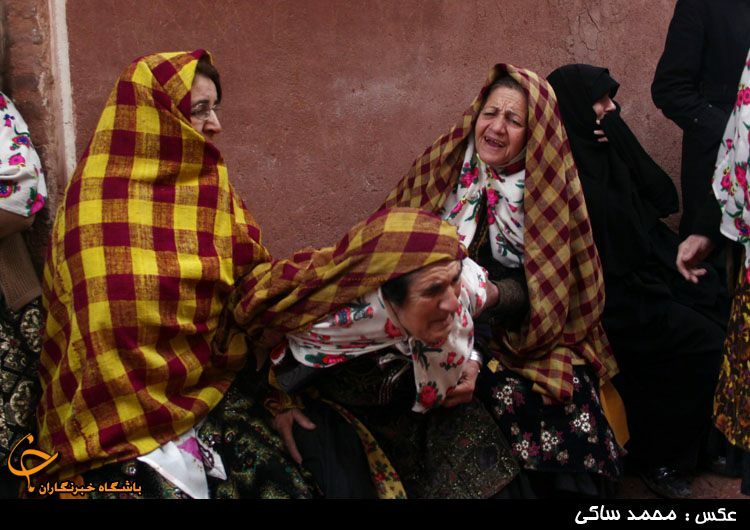 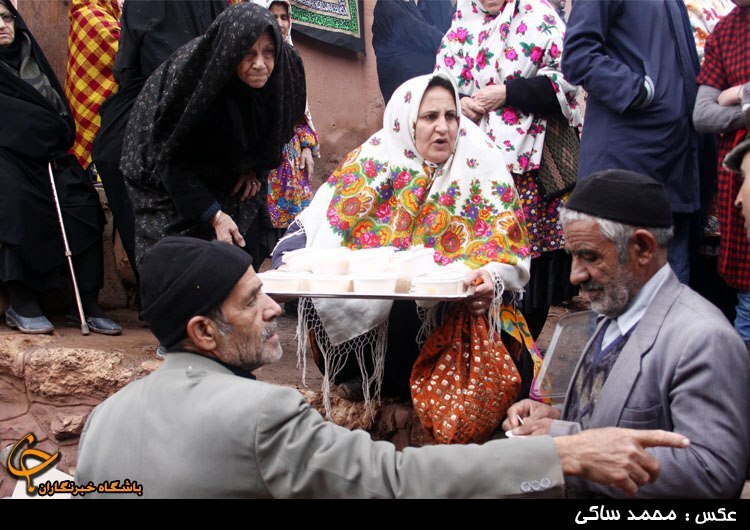 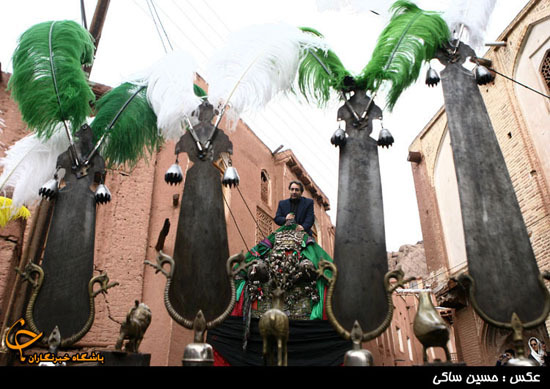 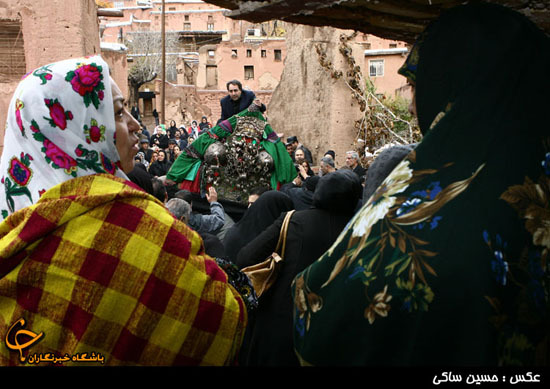 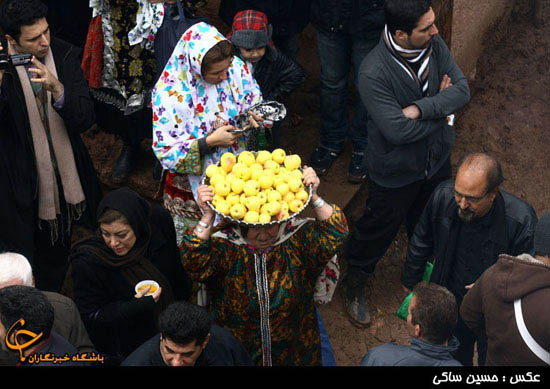 In Abyaneh – as in Spain –, the procession is also a kind of a tourist attraction, and visitors come from across Iran to see it. 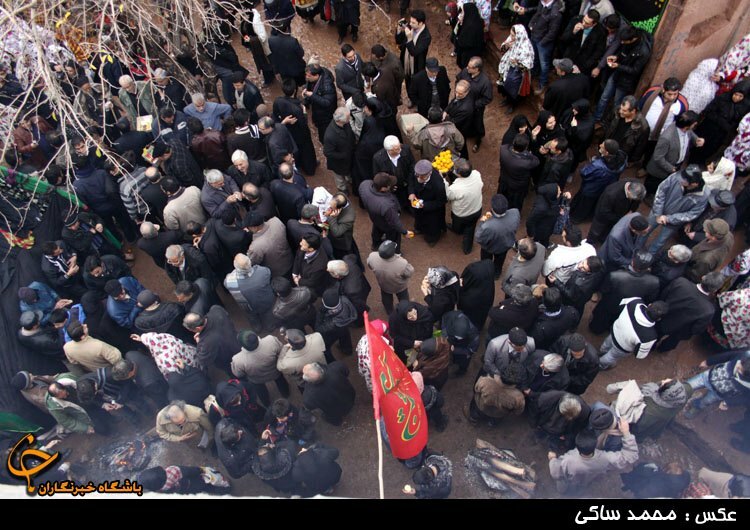 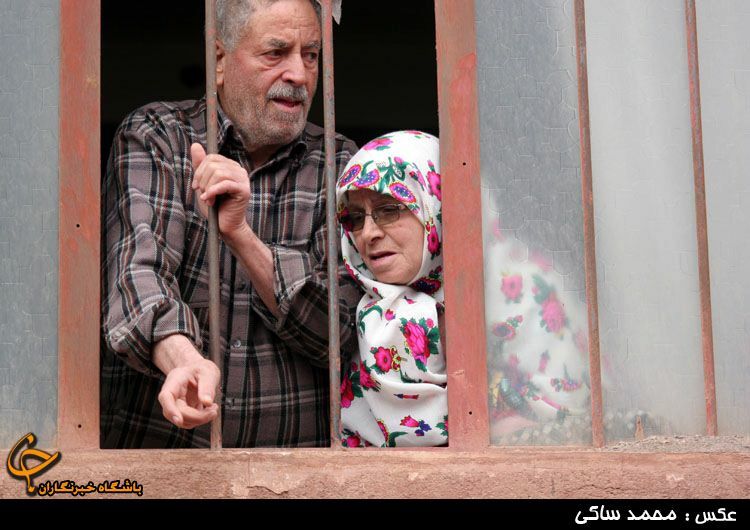 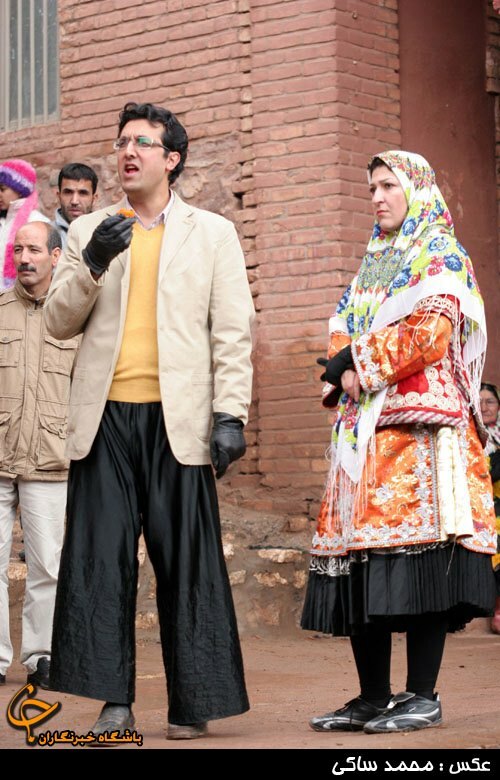 We illustrate the ceremony with the photos of Mohammed and Hossein Sâki which can be found in the Persian net. 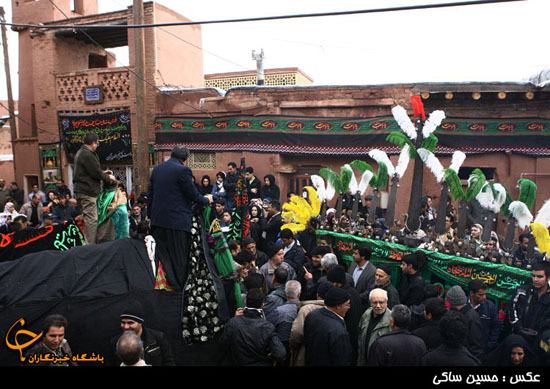 Ashura-day mourning song about Abolfazl, the brother of Imam Hussein, who was killed along with his brother at Kerbala. 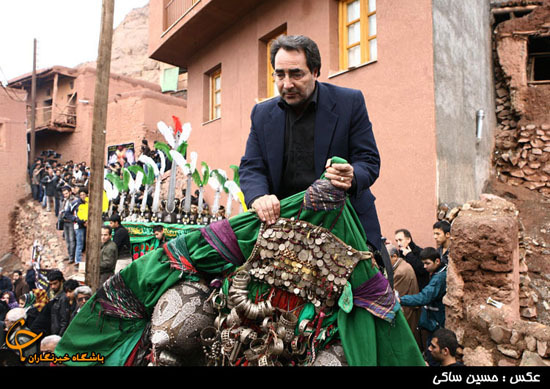 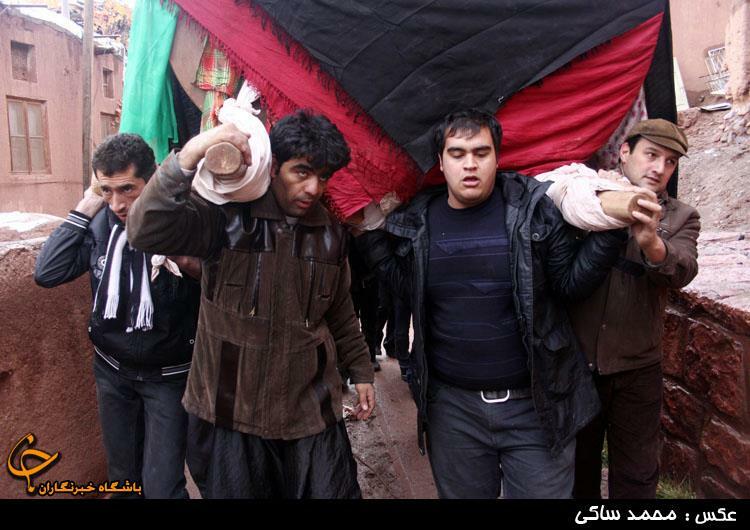 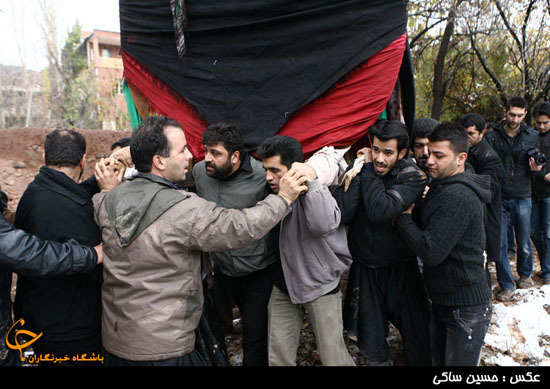 This year, Ashura falls on October 23, when we will be in Iran. 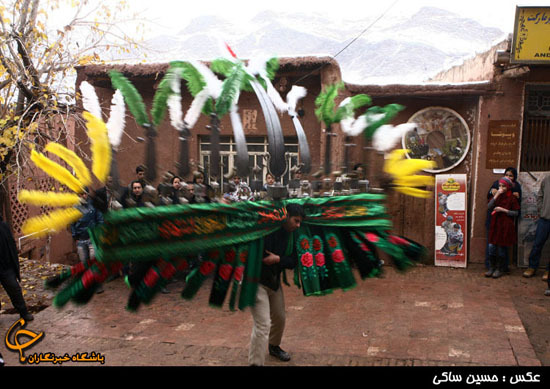 If all goes well, we will be there in Abyaneh for the big event, inshallah.